With some careful design and contemporary styling we’ve brought the classic white switch bang up to date, and boy does it look good! This clean, minimal and contemporary switch is such far cry from the old-school white switches of yester-year, there really is no comparison. This is a modern-day classic. There are so many great things to say about this brilliant little light switch that we’re not sure where to begin. Let’s start with the plate… Finished in a soft sheen satin white, and with beautifully curved edges, it’s just such a smoothie. In contrast to the plate, the knurled edges of the knob bring a real tactile texture to the switch. 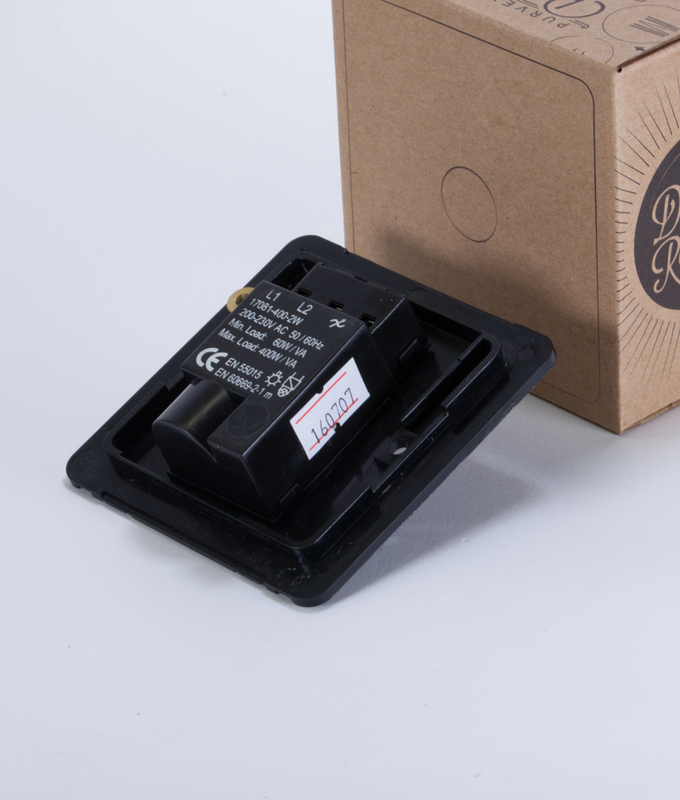 This is designed to not only look good but to make the knob super-grippy, allowing for a more precision when controlling your light levels. Form and function at its absolute best. There are four knobs to choose from, but seriously, don’t ask us to pick one as they all look fabulous. It depends entirely on your own tastes and what you’re pairing the switch with. 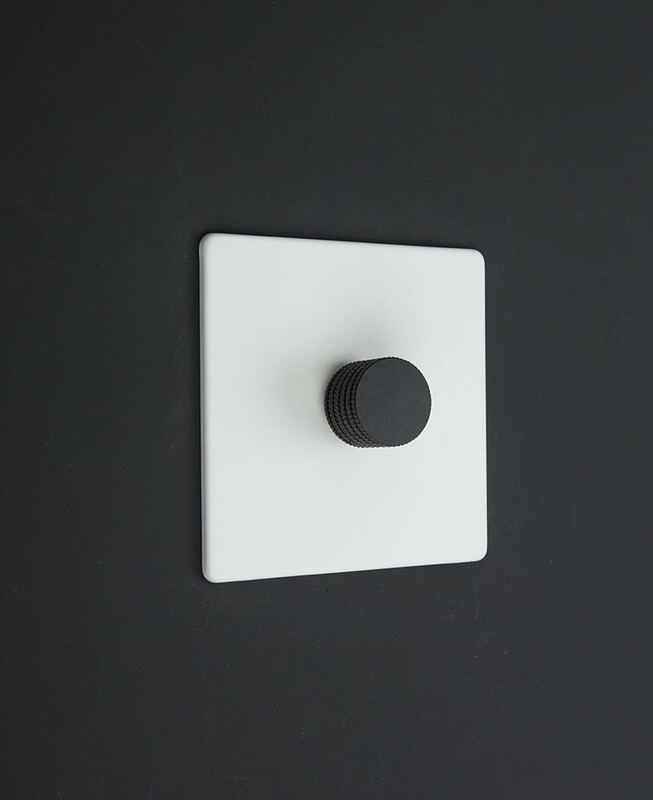 It goes without saying that the black and white knobs would be absolutely spot on for a monochrome design scheme. If you’ve got stainless steel fixtures and fittings then the silver would fit right in there. And if you’re just dipping your toe in the brass and gold trend then this would be an ideal way of introducing this finish into your home with going full-on bling. 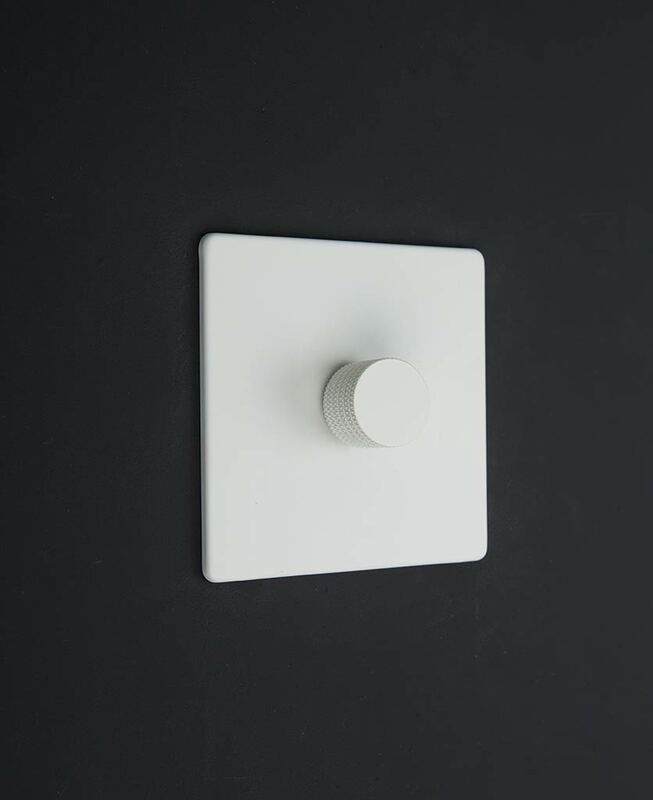 This white dimmer switch is just one part of our exclusive range of designer toggle switches, dimmers and plug sockets, so if you’ve caught the light switch bug then have a look at the rest of the range. You may also want to have a read of our guide light switches explained to find out the difference between 1, 2 & 3 gang plus when to use 1 way, 2 way and intermediate switches.